Village pub, restaurant and bed and breakfast accommodation in Crick, Northamptonshire, between Daventry and Rugby. We always planned to visit the boat once a month – at least. And so here we are on a 4 day, long weekend – celebrating getting engaged on Valentine’s Day itself – 35 years ago!! It was 2 degrees on the boat when we embarked on Thursday night … only now some 24 hours later, is it starting to warm up. We have thermometers and thermostats everywhere but they do little except to smugly say . . you should be warm by now! 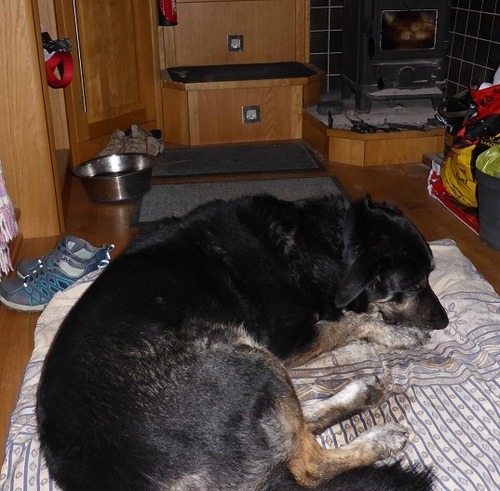 Well, Toby’s happy – 3 walks a day and a place by the fire. 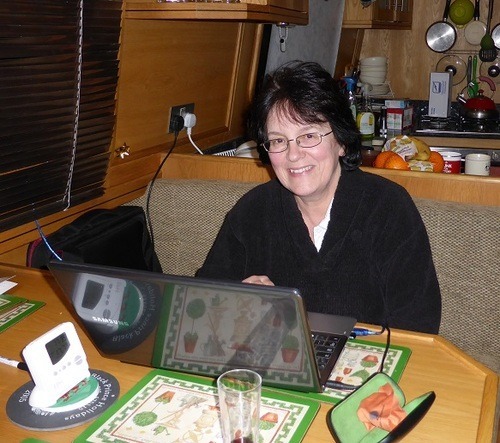 Viv’s happy – the Wi-Fi is now working in the marina, well sort of. It wasn’t working at all for the 2 weeks at Christmas but Viv’s back surfing. We visited Paul Smith (author of the Liveaboard website) in Calcutt Boats – very nice marina and setting with 110 acres of woodland. 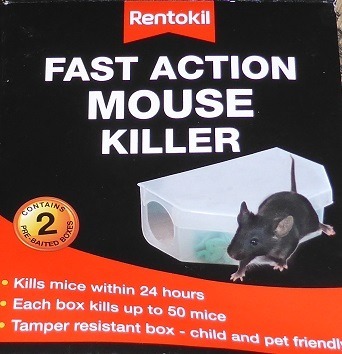 A trip to Daventry for mouse killer & secure storage bins to deter future rodentary visits. Great lunch & a decent variety of beers. Saturday, 14th: after a few chores (including disposing of the wee mouse), we took the dog and walked to the Wheatsheaf pub in Crick – see link above. A good hours walk followed by one of the best steaks that I’ve ever had. Always a tad wary of ordering steak out … when they give you the “special serrated knife”, ooooh, is it going to be that tough?? But it was fine; more than fine, in fact even though I was expecting a 10 oz steak, it came in one large lump, more like a fillet, very interesting but very tender & tasty! They also had Oakham’s Citra on tap too. Just the matter of that hours walk back.